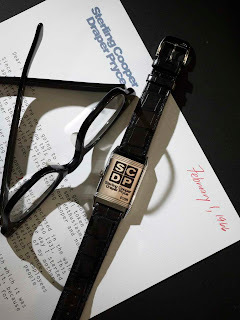 Jaeger-LeCoultre, known for aesthetic influence and refinement in the world of watch-making, announced the creation of a special limited engraved design of their iconic Reverso watch - a Grande Reverso Ultra-Thin created in tribute to the award-winning AMC series "Mad Men". 25 custom-created and numbered pieces of The Grande Reverso Ultra-Thin Tribute to “Mad Men” will be available in February 2012. The limited edition will be presented in a custom-designed walnut commemorative box featuring the Sterling, Cooper, Draper, Pryce logo embossed on the top as well as hand-engraved on the back of each numbered piece. Additionally, each piece includes a personalized commemorative letter from Roger Sterling.